If you’ve played golf in Florida, Mexico, or Hawaii, you are probably familiar with Bermuda grass like Thailand golfers enjoy. Bermuda is a type of grass used in tropical climates, especially on seaside layouts, because it is a heartier strain of grass that is easier to maintain than traditional bent grass. When you play Bermuda greens, you may find multiple grain configurations on a single green so it is wise to examine your shot from all angles. This allows you to see whether the Bermuda looks pale and shiny or rich and green. Rich and green appearance means the grain of the Bermuda is growing toward your vantage point and not reflecting light so much as when the grain is running away from you and looks shiny and pale. But, the grain isn’t always with you or against you. 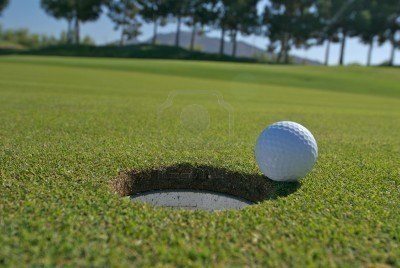 Thailand golfers know that Bermuda grain running ninety-degrees to the shot path can influence ball behavior. A right to left grain can cause a putt to break right to left, exponentially if there is any surface break inherent in the terrain. The converse is also true, that Bermuda grain can minimize break when it is running counter to the lay of the land. Not only can such cross grain cause a putt to break with the grain, but it can also cause chip shots to roll according to the grain direction. Putting against the grain will be slower than with the grain, and chipping into the grain tends to cause chip shots to check more than anticipated. Bermuda grain can often defy expectations as it doesn’t always grow in concert with the terrain. You will find Bermuda grain growing uphill, downhill, and side-hill. This is why it is necessary to view shots from every angle. And a quick look at the grain on the lip of the cup will show you how the ball should behave as it slows. You may detect some overhang of grass on one side of the cup meaning the grain is growing from that direction. Bermuda fringe and rough around Thailand golf greens can be quite grabby and you see chunked shots at times. This is typically due to an overly steep attack angle—which reduces your contact margin for error—and by the flat sole of your wedge, especially at the heel, being grabbed by the Bermuda. Once you learn to accommodate and make allowances for Bermuda grass, you will find that your golf in Thailand is as enjoyable as it is at home. Night Golf In Thailand Is Over!